Sometimes there is a need to manually control compressed air flow speed in certain point of pneumatic system. 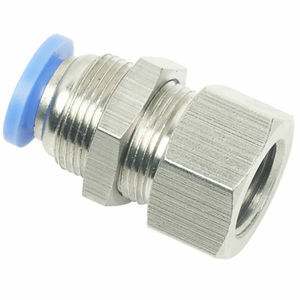 One easy way to achieve it is to use push-in fitting with built-in control valve. 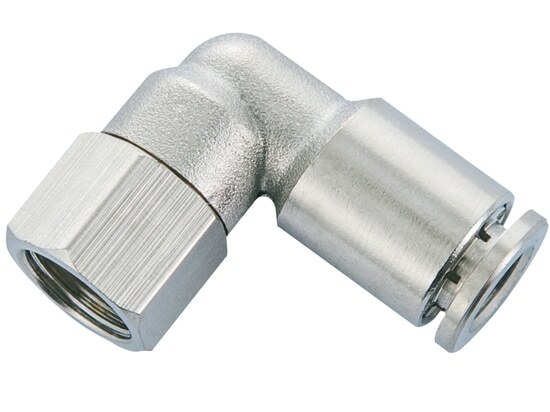 Elbow Controls are ideal for low cost and lightweight applications when mounting directly to an BSPT/NPT/G port on a cylinder or valve is required. 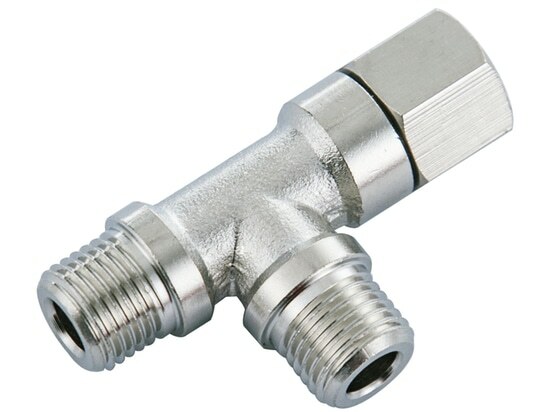 Meter-out control the flow rate of air entering from the thread side can be controlled, whereas air entering from the joint side comes out from the thread side at the same (not controlled) flow rate. Remarks:	For water: Surge pressure must be lower than max service pressure and use of insert ring.